Dudeism is a religion, philosophy, or lifestyle inspired by "The Dude", the protagonist of the Coen Brothers' 1998 film The Big Lebowski. 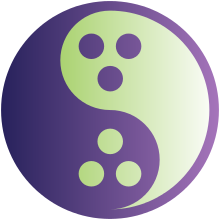 Dudeism's stated primary objective is to promote a modern form of Chinese Taoism, outlined in Tao Te Ching by Laozi (6th century BC), blended with concepts from the Ancient Greek philosopher Epicurus (341–270 BC), and presented in a style as personified by the character of Jeffrey "The Dude" Lebowski, a fictional character portrayed by Jeff Bridges in the film. Dudeism has sometimes been regarded as a mock religion due to its use of comedic film references and occasional criticism of religion in its traditional sense. However, its founder and many adherents take the underlying philosophy seriously. March 6 is the annual sacred high holy day of Dudeism: The Day of the Dude. Founded in 2005 by Oliver Benjamin, a journalist based in Chiang Mai, Thailand, Dudeism's official organizational name is The Church of the Latter-Day Dude. An estimated 450,000 Dudeist Priests have been ordained worldwide as of May 2017 and marriages have been officiated legally by Dudeist clergy in some US states. Although Dudeism primarily makes use of iconography and narrative from The Big Lebowski, adherents believe that the Dudeist worldview has existed since the beginnings of civilization, primarily to correct societal tendencies towards aggression and excess. They list individuals such as Laozi, Epicurus, Heraclitus, Buddha, and the pre-ecclesiastical Jesus Christ as examples of "Great Dudes in History". More recent antecedents include pillars of American Transcendentalism such as Ralph Waldo Emerson and Walt Whitman and humanists such as Kurt Vonnegut and Mark Twain. The Dudeist belief system is essentially a modernized form of Taoism stripped of all of its metaphysical and medical doctrines. Dudeism advocates and encourages the practice of "going with the flow", "being cool headed", and "taking it easy" in the face of life's difficulties, believing that this is the only way to live in harmony with our inner nature and the challenges of interacting with other people. It also aims to assuage feelings of inadequacy that arise in societies which place a heavy emphasis on achievement and personal fortune. Consequently, simple everyday pleasures like bathing, bowling, and hanging out with friends are seen as far preferable to the accumulation of wealth and the spending of money as a means to achieve happiness and spiritual fulfillment. The Church of the Latter-Day Dude launched its official publication, The Dudespaper, in the fall of 2008. A Dudeist holy book, The Tao Dude Ching, went online in July 2009. It was renamed The Dude De Ching in December 2009 to avoid being confused with an upcoming book by Oliver Benjamin called The Tao of the Dude. The Dude De Ching is a reinterpretation of Peter Merel's translation of the Tao Te Ching using dialogue and story elements from The Big Lebowski. In August 2011, The Abide Guide—a "Dudeist self-help book" employing life lessons from The Big Lebowski and other sources—was published by Ulysses Press. Written by Benjamin and the Arch Dudeship Dwayne Eutsey, it also contains material by other members of The Church of the Latter-Day Dude. An Italian translation was released in November 2013 under the title Il vangelo secondo Lebowski. In November 2013, Lebowski 101—a compilation of mostly-scholarly essays edited by Benjamin which dissected and celebrated The Big Lebowski—was published by the Church. Over 80 writers and illustrators contributed to the book. In April 2015 The Tao of the Dude was published, featuring essays and illustrations by Benjamin as well as quotes from various philosophers and writers throughout history. The objective of the book is to show that Dudeism is a philosophy that has existed since the dawn of civilization. The Dude and the Zen Master, a 2013 book by Jeff Bridges and Buddhist teacher Bernie Glassman, uses the character as a starting point for philosophical discussion. Asked at a promotional event what The Dude would think of Dudeism, Bridges replied that "He'd be flabbergasted. And he would dig it." ^ a b Ehrlich, Richard. "The man who founded a religion based on 'The Big Lebowski'". CNN. Turner Broadcasting Systems Inc. Retrieved 22 March 2012. ^ "Cult Cinema by Ernest Mathlijs, Jamie Sexton p. 78". ^ "Adweek". Mediabistro.com. Retrieved 22 September 2017. ^ "Big Lebowski Spawns Religion". Dontpaniconline.com. Retrieved 22 September 2017. ^ "Cathleen Falsani Interview". Religion and Ethics Newsweekly. PBS. Retrieved 19 September 2012. ^ "The Day of the Dude". Dudespaper.com. 12 February 2010. Retrieved 22 September 2017. ^ Green, Bill; Peskoe, Ben; Russell, Will, Shuffit, Scott: I'm a Lebowski, You're a Lebowski, page 17. Bloomsbury, 2007. ^ "The Way of the Dude". ^ "David Kantor, Michael Hampton". Nytimes.com. 29 June 2014. Retrieved 22 September 2017. ^ "Great Dudes in History". Dudeism.com. Retrieved 2009-09-23. ^ Eutsey, Dwayne. "Great Dudes in History: Mark Twain". The Dudespaper. Retrieved 2009-09-23. ^ Killoran, Ellen. "'The Big Lebowski' Religion Founder Talks 'The High Holiday' Of Dudeism". International Business Times. Retrieved 19 September 2012. ^ Walters, Ben (20 January 2010). "Dudeism, the faith that abides in The Big Lebowski". The Guardian. London. Retrieved 19 September 2012. ^ Benjamin, Oliver; Merel, Peter. "The Tao Dude Ching!". The Dudespaper. Retrieved 2009-09-23. ^ "The Abide Guide: Living Like Lebowski". Amazon.com. Retrieved 2011-05-28. ^ "Il vangelo secondo Lebowski". Fazi Editoriale. Retrieved 2014-01-14. ^ "Lebowski 101". Amazon.com. Retrieved 2014-01-14. ^ "The Tao of the Dude". Amazon.com. Retrieved 2015-04-12. ^ Tobar, Hector (11 January 2013). "Lebowski lovers: The Dude and the Zen Master riff in L.A." Los Angeles Times. Retrieved January 14, 2013. VW 'Dudeism' ad bowls into cinemas: Mini-film exploring 'religion' inspired by movie The Big Lebowski trails Volkswagen's support for independent cinema - The Guardian article with link to video of Volkswagen advertisement featuring Dudeism.